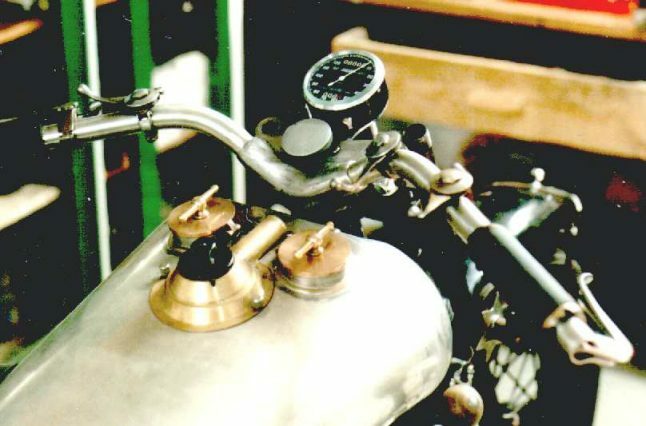 Here you can see the whole ensemble consisting of Jaeger speedo head, stainless handlebars, hand forged levers and tank top accessories. I liked the look of the different materials before plating, it is a shame you cannot leave them bare! 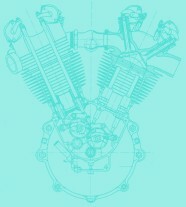 It is not the first time that I made a set of inverted levers, but this time I tried to do it without welding seams. 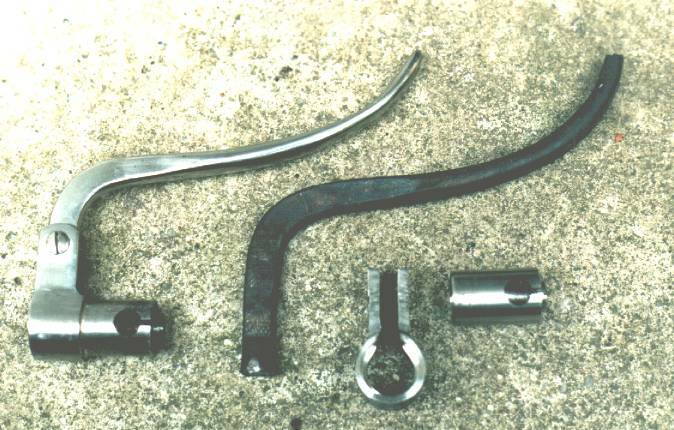 The lever itself is hand forged out of a round bar, the handlebar insert is silver soldered from a bent portion and a round bit turned on the lathe. The rest is a matter of elbow grease! I did all the polishing involved in the plating myself. 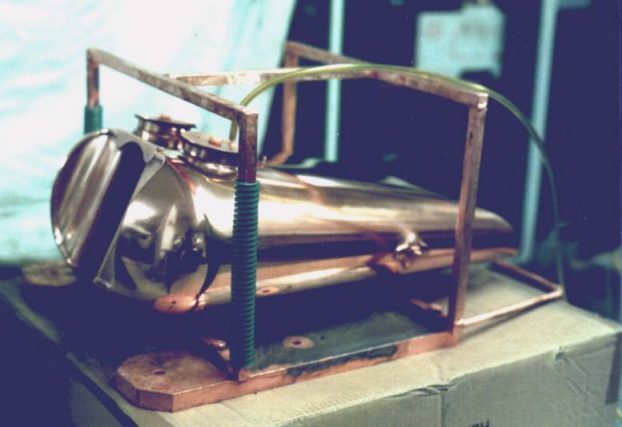 This is the tank after copper plating and polishing. As I did not want to have any mess inside the tank and I did not want to risk putting any loose ballast inside it I made this ballasted frame to sink it into the plater's tank. I received a few odd looks but it worked perfectly. The ventilation pipe is a must as the bath is about 60 Centigrade hot! 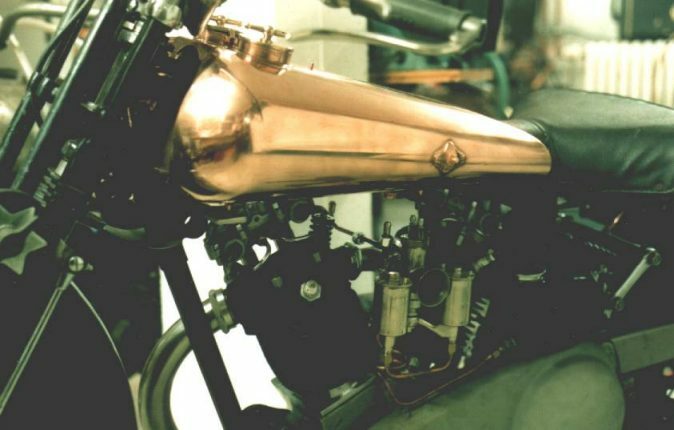 A copper plated tank would look great on a racer, wouldn't it? The only problem is that you would have to put a very good clear varnish on top of the copper to protect it from the elements!